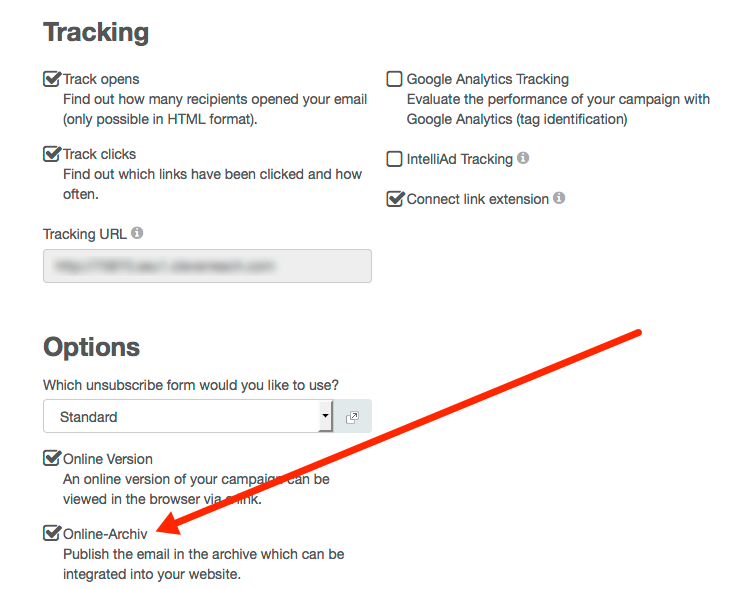 You have the option to display all sent emails in a newsletter archive on your website. The code to integrate the archive on your website is accessible under [My Account] > [Extras] > [Newsletter archive]. You can choose between RSS-feed and source code. 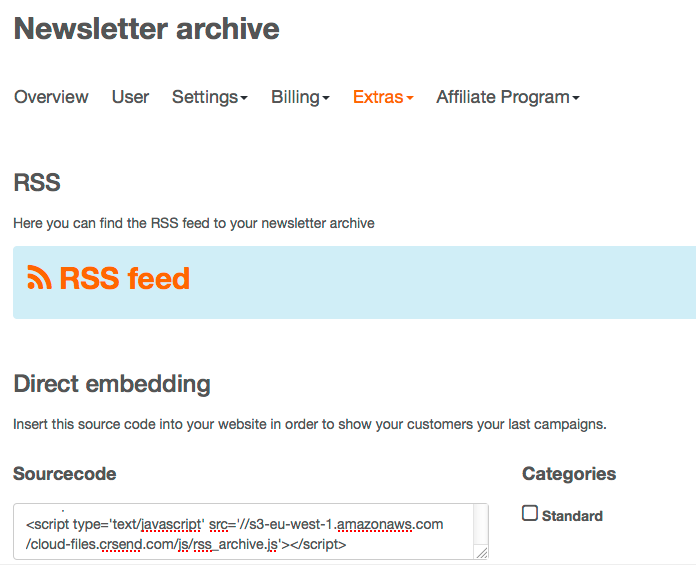 Clicking on RSS-feed will give you the respective feed URL which you can use for your website. As an alternative you can integrate the archive on your website with HTML code (you might have to adapt the code a bit to make it match your site). Please make sure you copy the entire code. Of course you can deactivate an email from being displayed in the archive. You will find more information on this here. As soon as you delete an email from your account it will be removed from your newsletter archive. How do I remove emails from the newsletter archive?